The human toll of the economic crisis in Greece has been significant: Rates of hunger, suicide and unemployment have increased sharply, thanks to years of misguided austerity policies. So it is hardly shocking that polls are showing that voters are likely to give control of Parliament to the leftist political party Syriza in an election later this month. Whether Syriza can make the lives of average Greeks better is an open question. The party and its charismatic leader, Alexis Tsipras, have promised to renegotiate government debt, cut taxes, reverse pension cuts and increase spending on public services. But to achieve this ambitious agenda, Mr. Tsipras will have to persuade leaders of the so-called troika — the European Commission, the European Central Bank and the International Monetary Fund — to ease the terms of the country’s debt.
. But insistence on pummeling Greece does nothing to help that country carry out its reforms faster. The troika leaders need to take a more pragmatic approach — by, for example, postponing debt repayments that come due next year. In a positive sign, leaders of Syriza have said they want to keep Greece in the euro currency zone. 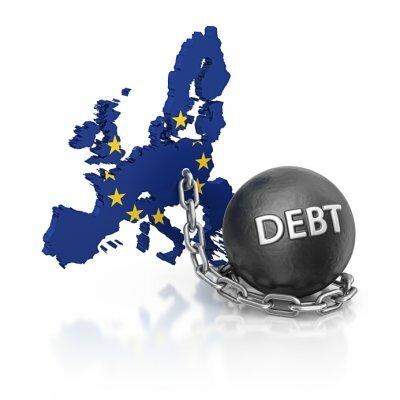 A departure from the monetary union would be highly destructive to the country’s weak economy. And while investors do not seem as worried about what a Greek exit from the euro might mean for other countries like Spain, Portugal and Italy as they were a few years ago, they do have some concerns. This much is clear: More suffering will not stabilize Greece or allow it to pay off its debts. Its unemployment rate was 25.5 percent in the third quarter of 2014. That is only modestly lower than the average rate of 27.5 percent in 2013. Deflation is a reality; consumer prices fell 1.2 percent in November after a 1.8 percent drop in October. Although the economy is growing again — gross domestic product increased 0.7 percent in the third quarter from the previous quarter — most people are not seeing improvement in their lives. There is no question that the austerity policies, like cutting spending and raising taxes, that the troika demanded in exchange for helping Greece and other troubled eurozone countries have prolonged and deepened their economic slump. Another major flaw in the troika’s approach was that it left Greece with much more debt than the country could ever hope to repay, something even the I.M.F. acknowledged last year. The pain caused by these policies is largely to blame for the disillusionment that voters in Greece, Spain, Italy and elsewhere in Europe increasingly feel for mainstream political parties. In Greece, that has benefited Syriza. In Spain, polls show that Podemos, a leftist party formed less than a year ago, has surged in popularity. And in Italy, the Five Star Movement, which wants that country to leave the euro, has faded recently but remains popular among a sizable minority of the population. Whether or not Syriza wins a majority of seats in the Greek Parliament, it is clear that voters, constrained by European economic policies, are clamoring for change.